It’s the start of a New Year, a time for looking forward, but as all cyclists know, one must take a careful look backwards before we set off. With that in mind here’s the article I wrote on the origins of The Highway Cycling Group for The Ride Journal issue one in 2008. 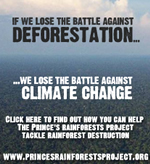 As that Journal is out of stock now I thought it would be a good time to publish it on the web. This is the unedited version, I think a few words were changed for the journal. The Highway Cycling Group pedaled gently into existence almost as soon as my mother had given my father’s decrepit 1960s sit-up-and-beg roadster to a passing rag and bone man. Many of his other possessions, left behind when he moved out, had met a similar fate over the years, garnering no reaction from my father, but the death of the useless roadster was the excuse he needed to get himself a new bike. In the mid nineteen-eighties, it was drop handlebars or nothing and the brilliant-white, ten-speed tourer he took back to his house, rapidly became his pride and joy. My own steed was a black, heavy, five-speed ‘racer’ bought from a secondhand shop in Devizes after my father had bamboozled the assistant into parting with it for a third of the asking price. I cannot recall the maker’s name, but the word ‘ELITE’ was displayed optimistically on the down and seat tubes. With its nylon panniers, nasty red-rubber bar tape, kickstand and white plastic pump it lacked the grace of my father’s ride, but I loved it greatly. Soon regular rides with family and friends struck out from his house in the tiny North Wiltshire hamlet of Highway. Down the long straight track of Highway Common, over the staggered junction crossing the Bushton Road, perhaps picking up more riders from nearby Hilmarton or Spirthill, so that a ride might start with two people, and end with seven or eight. Always a circular route, if there was no pub stop, there would be sandwiches in the panniers, or a stocking up at the Spar in Broad Hinton. Sometimes we would ride only three miles, sometimes thirty or more. The roads were quiet and convoluted, weaving over the chalky landscape, five miles as the crow flies could be drawn out to twelve by the meandering lanes and switchback turns. The hills we attempted defined many of the rides; Charlcutt Hill, Snow Hill, walking up the steep monstrosity at Broad Town, the slow winding climb up to Bradenstoke; the exhilaration of hurtling down to Witcomb Mill, squinting into the rushing air, grabbing handfuls of brake, or even dragging feet along the road when the suicide levers couldn’t cope with the descent. Gradually things became slightly more organised. 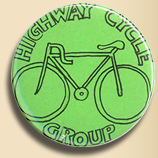 The Highway Cycling Group official shirt was adopted for group rides, blue and white stripes edged with green, bought in bulk from C&A in Swindon. A set of badges appeared, handmade by my father at a local school fete. And ultimately, at the pinnacle of the Highway Cycling Group’s ambitions, we started cycling abroad. Glorious holidays riding through France, Holland and Belgium, the ubiquitous stick of French Bread slung horizontally across the rear rack of my father’s bike. There is one ride I remember well, not long before he left Highway, I rode the three miles from Hilmarton to see my father, and we headed out for the Marlborough Downs. The insistent whirr of the chains powering the hubs mingled with the continuous drone from the propellers of the transport planes flying out of RAF Lyneham. Up the awful hill at Clyffe Pypard, weaving over the road in an effort not to stall the bikes, out of the saddle, artlessly pushing the pedals because we had no straps or clips. At the top I felt lightheaded from the effort, my father riding next to me handed over his water bottle. The roads were almost empty as we headed up towards The Ridgeway. As we crossed the prehistoric track, where it intersects with the Marlborough road we were at the highest point for miles, there seemed to be nothing but startling blue sky. Wordlessly we turned the cranks, pulling the horizon towards us. My father’s move to Swindon effectively called a halt to the regular rides. His bike remained in his shed and in 1994 he became very ill with prostate cancer, dying at home in 1995 not long after his fiftieth birthday. It was over ten years before his wife Helen extracted the now rusted, white, ten speed from the shed and sadly took it on its final journey to the recycling centre. Now, I find it nearly impossible to remember whole rides with The Highway Cycling Group, but occasionally, when I am out riding, a memory will rush forward, triggered by a feeling, or a sound: Riding alongside a train-track, the chirping of crickets, the ticking freewheel of a bike left on it’s side in the grass verge or the call of a buzzard circling ahead will send me back to the time of The Highway Cycling Group. A time when I had no concern about clipless pedals, average speeds, sports drinks, lycra, carbon fibre or fitness. When it was enough just to ride. I still enjoy group rides, meandering, pootling down country lanes in good company looking for a shop in the middle of nowhere, exploring the verge while someone checks the map or fixes a flat. But sometimes, all I want is to ride on my own, with just the cadence, the drone of the chain, and the feeling that there might be someone else riding next to me, matching my pace, ready to hand me his water bottle when I feel lightheaded.